First, it is difficult to write on this subject without using some Spanish words. I am generally against peppering English language text with Spanish words. That is sometimes carried to the point of affectation. The problem is that the Spanish vocabulary relating to the corrida does not translate easily into English. 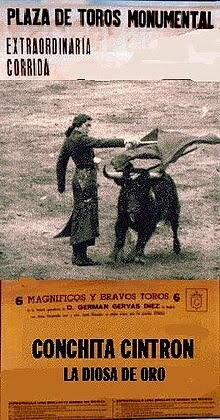 The word “corrida,” for example, does not at all translate as “bullfighting.” I am therefore trapped into using some Spanish words and explaining them as best as I can. 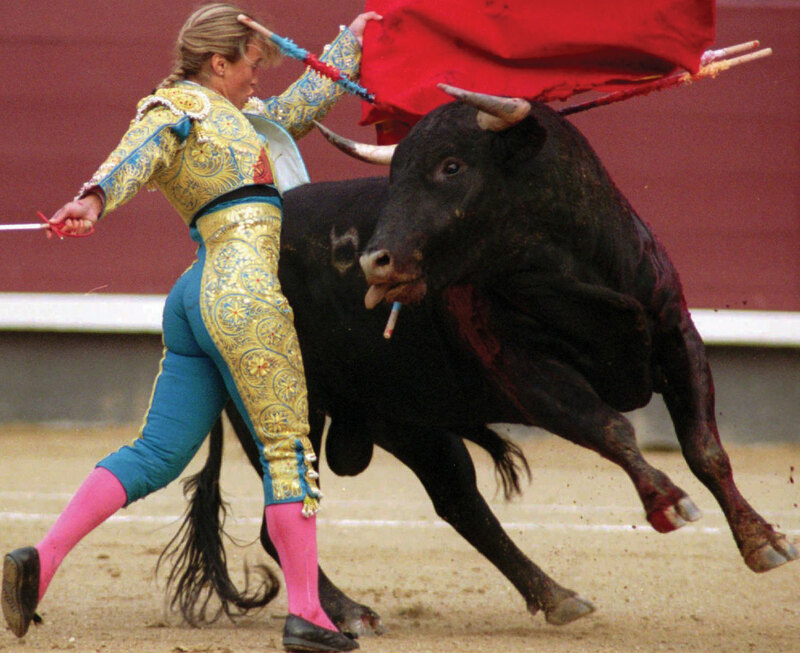 I have been a bit persnickety in my use of the term torero in lieu of the term matador, although native Spanish speakers do themselves use the term matador in the general sense. 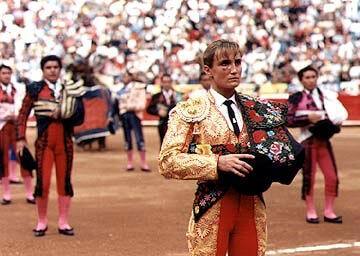 Technically, however, a torero only attains full matador de toros status with his alternativa, a special performance in a major ring “hosted,” if you will, by a matador who has previously been accorded the honor. In the previous entry I made mention of a “minor league Mexican bullring.” However, Mexico itself is not minor league. The ring in Mexico City is the largest in the world seating 55,000 people. The Spanish and Mexican matadors at the top fly back and forth to perform in the Plaza de las Ventas in Madrid or the Plaza de la Maestranza in Seville and in the Mexico City ring. I watch them perform here on La Mexicana's television commencing at 4:00 on Sunday afternoons. This past Sunday I arrived early to enjoy the crowd filtering into the ring. I prefer to buy seats in the sol section, meaning in the sun. This can be downright brutal in the late afternoon sun of Spain. The privileged sit in the sombre section, in the shade. It is in the sol seats that the Marxist's dream comes true, the union of the students and the workers. I do indulge myself with seats in the front row having through the years slowly moved from the top down to the bottom. La Mexicana is game for all of this herself, which is one of the reasons why she is a good companion at the corrida. Early on well before the parade of the toreros into the ring, we were joined in the first row by four boys. They had determined to upgrade their seats unofficially in the great anarchist tradition. I do not have any problem with that either having unofficially upgraded my own seating in the past in such places as Fenway Park, Wrigley Field, and Busch Stadium. Their parents and older brothers and sisters remained in seats above us. This is a family affair. La Mexicana mothered all four of them, but she was particularly taken with the shy, quiet Ulysses. With the permission of their parents, I sprang for buckets of popcorn sprinkled with hot sauce, popsicles, potato chips doused in hot sauce in the tall, thin cellophane bags, and the brown sticks, which look like pretzels but are definitely not pretzels, in the same tall, thin cellophane bags . Mateo, Diego with his popsicle, Ulysses, and Omar. In the course of the late afternoon and early evening the six of us together watched as five bulls were killed. The first was respectably killed by a true novice from San Miguel named Francisco Martinez. Two each were killed by the toreros Rodrigo Hernandez and Poala San Roman in their mano a mano or head to head competition. The point of the whole affair as it developed in Spain after all is the killing of the bull if we are to be honest about it. The rest is artistic fanfare. Which brings me to John Fulton, the one who first made that clear for me in a new way, something I will explain later. You will be spared any more quotations of Hemingway, who wrote Death in the Afternoon from the point of view of a fan, albeit a sincerely devoted one. John Fulton is a different case. He was born to working class parents Philadelphia. 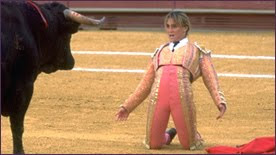 From the age of twelve he was determined to be a matador. 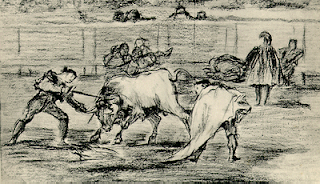 In the entire recorded history of the corrida, John Fulton is the only American matador who did his alternativa in Spain. 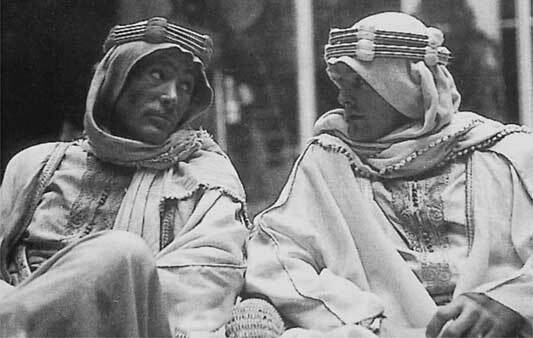 The other two American matadors, Sidney Franklin, the great friend of Ernest Hemingway and James Michener, and the Puerta Rican whose name escapes me did their alternativas in Mexico and were confirmed in Spain later in their careers. 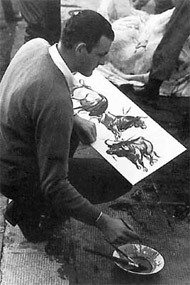 John Fulton not only became a matador, he was an accomplished painter whose works sold well and a skillful flamenco dancer. It is for the reason of these latter accomplishments, I think, as well as the fact that he was a lifelong bachelor, that in nearly everything written about him the author takes some pains to establish that he was not heterosexual. If you are curious to know something further about him you can read Tex Maule's classic 1968 profile of Fulton in the Sports Illustrated archives. For a shorter rendition of his life, you can read his 1998 Times obituary, which also happens to be one of the better obituaries that I have ever read. See also the John Fulton Society, particularly for images of his art. 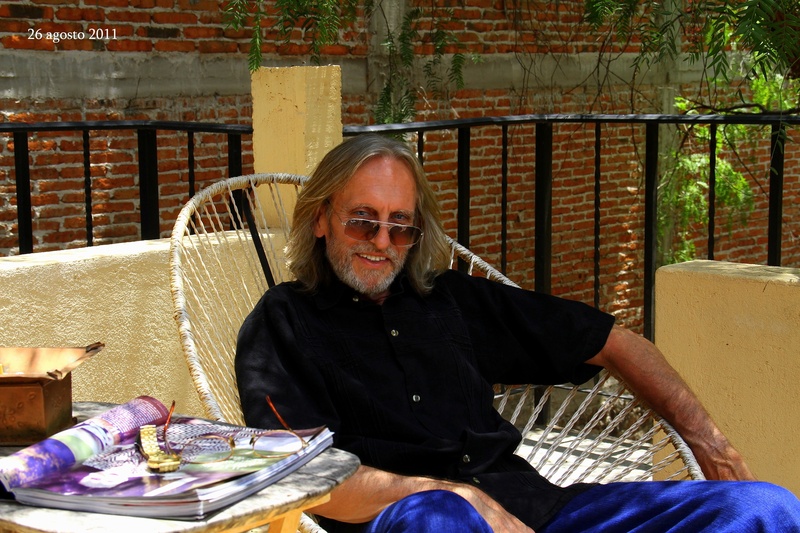 John Fulton lived in San Miguel for a couple of years attending art school and practicing his torero skills on the side at friendly ranchos in the area. He killed his last bull in the little ring here at the incredible age of 61, clipped his pigtail, and retired forever. 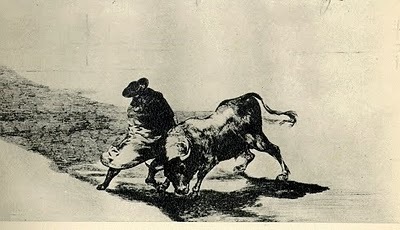 His book on the corrida from the point of view of a matador is the bible on the subject for the English speaking reader, as far as I am concerned. Yes, he titled it simply Bullfighting. 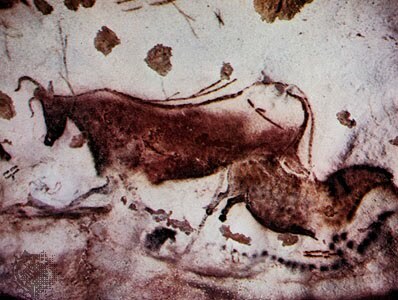 It is now out of print, which probably presages the extinction of the art itself in all civilized countries. 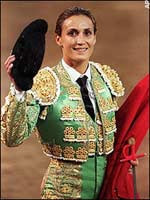 Historically, Latin America has been much more open to women in the bullring than has been Spain. It was Fulton who tipped me off on women in this business with his admiring comments about the great Conchita Cintrón, who began her remarkable career in Lima, moved on triumphantly to Mexica City, and hit the brick wall of bias in Spain. Someone or some few did a wonderful job of writing her story for the English language version of Wikipedia. Fulton himself faced nearly insurmountable obstacles in his quest to become a full fledged matador in the form of prejudice as a result of his nationality. Although he does not say so explicitly, I suspect that he felt a kinship with Conchita Cintrón and toreras generally because of the bias that they, too, have had to overcome. I know John Fulton would agree with the proposition that those who seek to excel in any endeavor in the face of passionate bias and prejudice cannot simply become as good as their competition. They must become better than their competition in order to have any chance at all at even mediocre success. These are adornos, crowd pleasing gestures to demonstrate mastery of the bull. Some adornos can be tasteless and show profound disrespect for the bull. I have no problem with adornos such as this. Cristina Sánchez carefully established the nature of her sexuality for cultural reasons. I am not talking about the Spanish culture as it exists today. 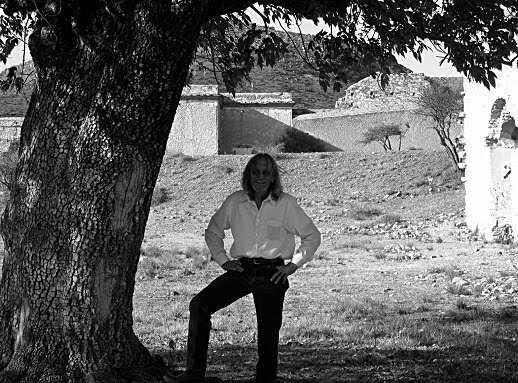 I am talking about remnants of the culture of the corrida that still survive. I am aware that many of the women of Cristina Sanchez's caliber prefer to be described as toreros, in the masculine, just as many women of the stage prefer the term “actor” instead of “actress.” I will happily and generally accede to their wishes out of respect for them. It is just that in the case of the young woman whom I saw perform on Sunday, I prefer the feminine torera for very good reasons because of the distinctive manner in which she does what she does in this early stage of her career. Poala San Roman, cool as a cucumber with her sword already blooded from a failed first attempt on her first bull.